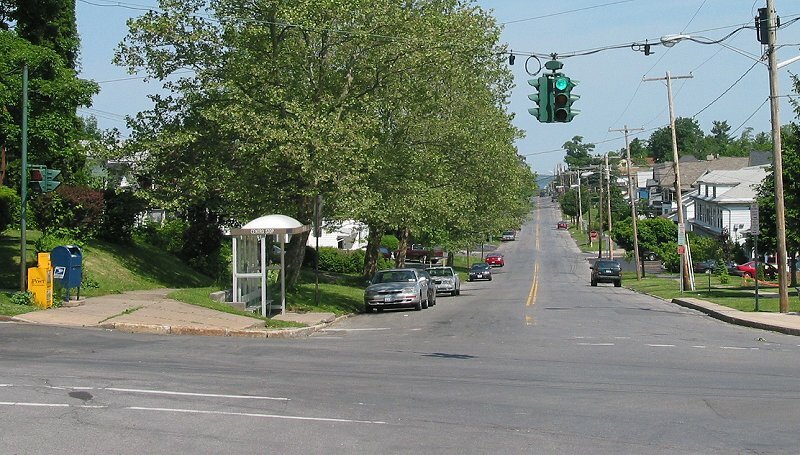 View is looking northbound on Milton Avenue, on 1 June 2002 (top). Below, the scene looking south on Milton Avenue, on a frigid 31 March 2003. The neighborhood, sadly, needs a little attention. 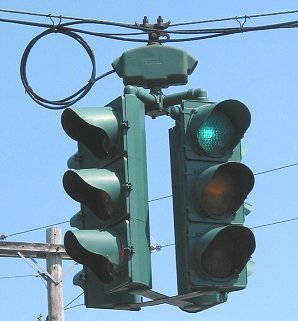 Here is the world-famous intersection in Syracuse, where the green light is located at the top. 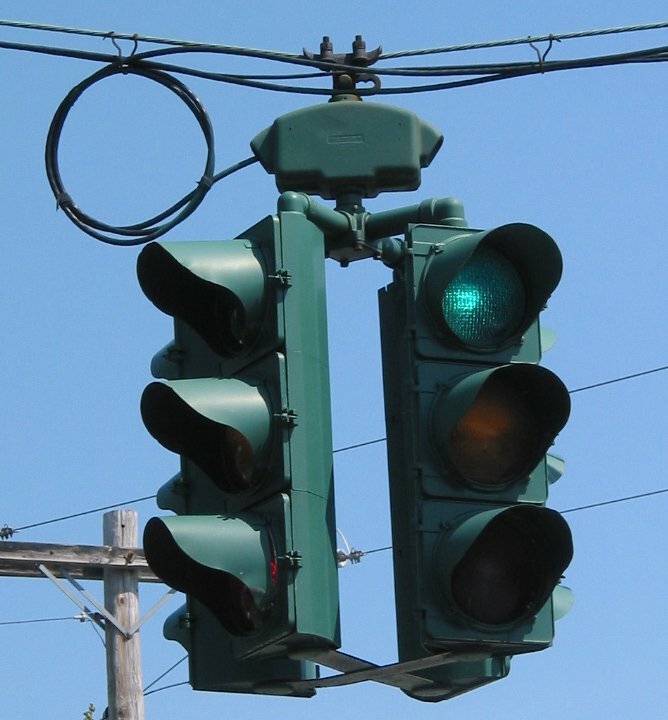 Yes, this is because this was an Irish neighborhood, and the local residents did not want a red light on top, because it represented the British to them. In the picture at top, one can see at the extreme right the park that commemorates those who threw the rocks at the signals. Below left, a closeup of the sculpture that commemorates the stonethrowers. Photo at left taken 31 March 2003; photo directly above taken 1 June 2002. This page updated 3 November 2004.